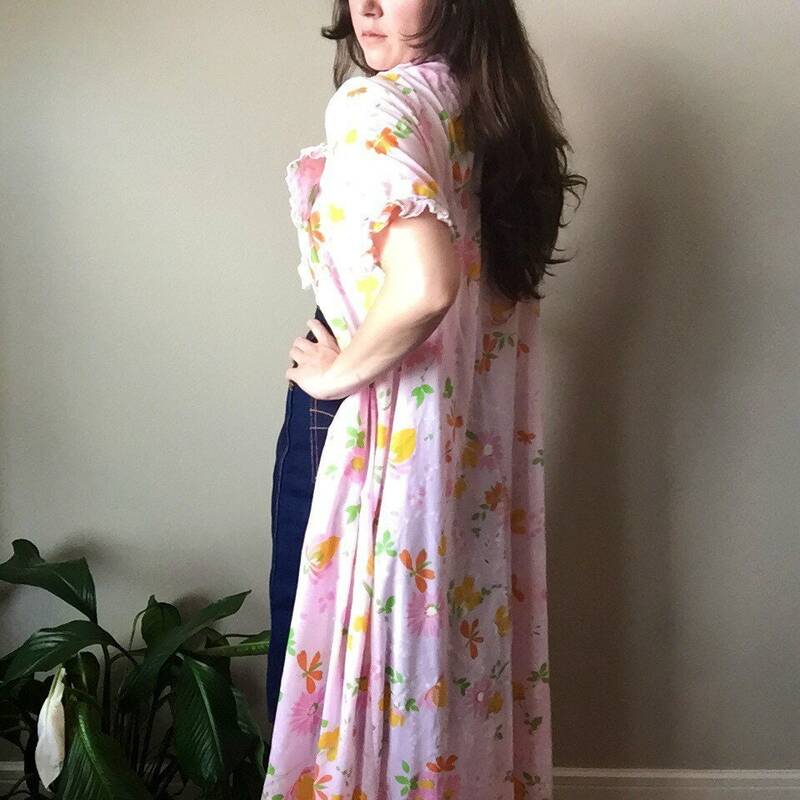 Super unique vintage floral, floor length maxi kimono. 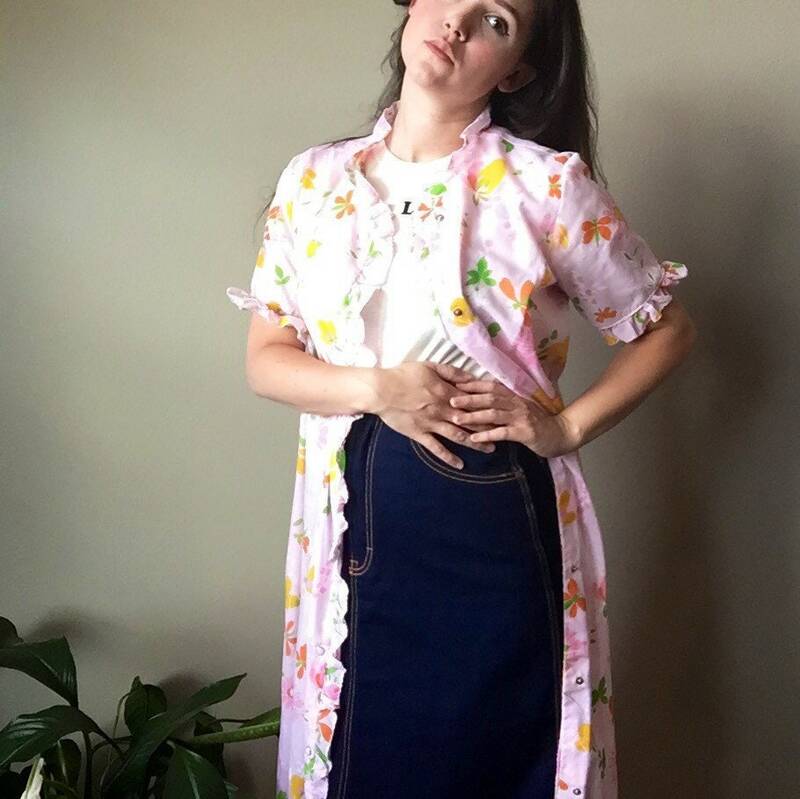 Buttons down the front and features ruffles on sleeves and edges. Could also be worn as a maxi dress. Fits size Small-Med. Vintage items and tshirts will ship out in 1-3 days. 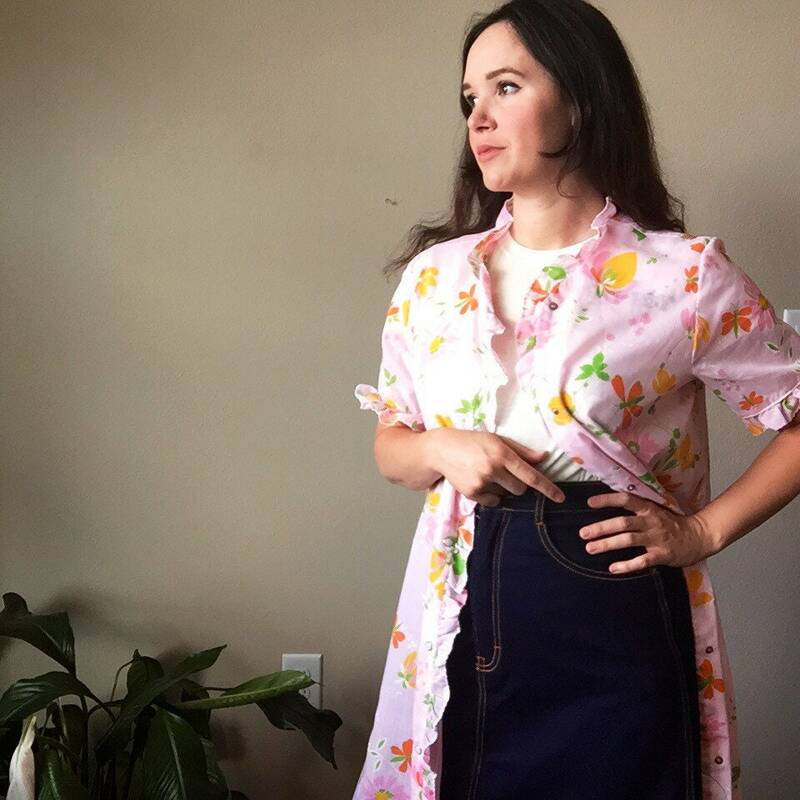 My custom items are made to order and require a 14 day production time before they ship. Please keep that in mind when placing an order.